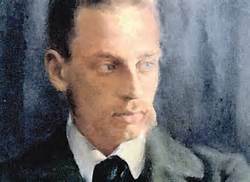 "The Departure of the Prodigal Son"
One of the great poets of the late nineteenth and early twentieth centuries was Rainer Maria Rilke. Although he distanced himself from orthodox Christianity, his highly lyrical and metaphorical writings often touched on spiritual themes. One of his poems, "The Departure of the Prodigal Son," explored the experience of the Prodigal Son. Rilke's provocative re-envisioning of the mind of the Prodigal challenges us to revisit this familiar parable with fresh eyes. Using the links below, you can encounter his poem inspired by the parable of the Prodigal Son.